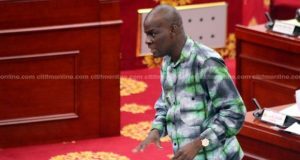 Minority Leader, Haruna Iddrisu is calling for a swift police action in dealing with the perpetrators of the violence that happened at the National Democratic Congress (NDC) Ashanti Region office in Kumasi on Monday. According to him, the incident that led to the death of one person is unfortunate and worrying. Addressing the press on Tuesday, Haruna Iddrisu, however, indicated that what happened in Kumasi cannot be compared in any way to the happenings at the Ayawaso West Wuogon By-election. Police have said four alleged members of pro-National Democratic Congress group, the Hawks, are suspected to be behind the attack at the Ashanti Regional NDC office in Kumasi that left one dead and one other injured. A statement from the police named the suspects as Warrior, Mijinmma, Damos and Abu Taliban. The crime scene has since been cordoned off by the Ashanti Regional Police as investigations into the incident began. 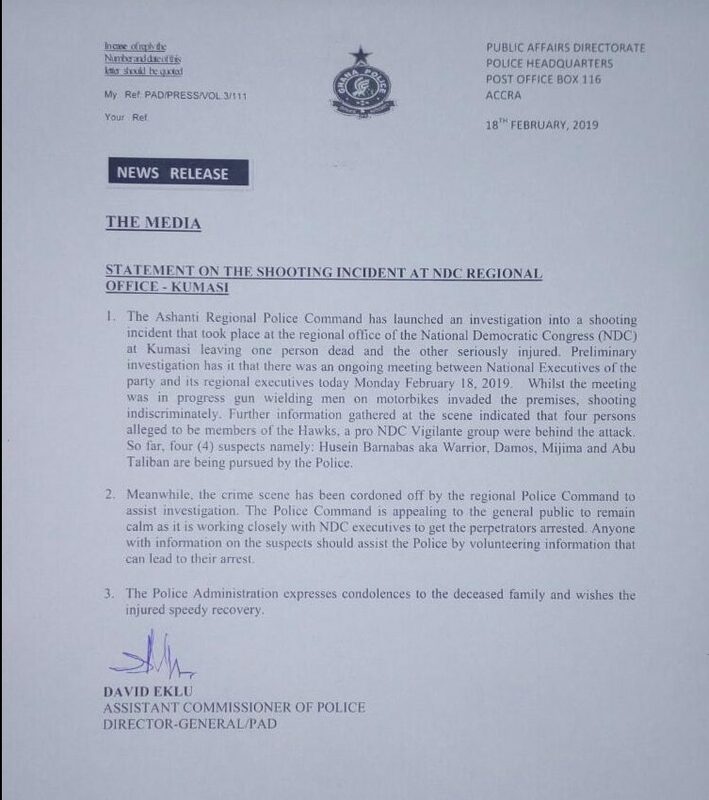 The shooting is said to have happened when the National Chairman of the NDC, Samuel Ofosu Ampofo, the General Secretary, Johnson Asiedu Nketia, and the Regional Executive Committee met at the regional office. A team of crime officers from the Ashanti Regional Police Command were deployed to the office at Amakom in minutes after the incident. There were traces of blood stains around the premises of the office when Citi News got there on Monday afternoon before it was cordoned off. The party first confirmed that one person had died from the incident. Former President John Dramani Mahama also said the incident was “clearly a criminal act”. 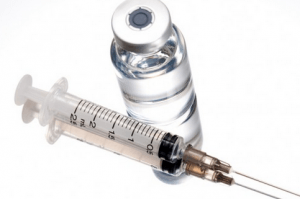 This incident comes after the Constituency Chairman for the NDC in Suame, Ashanti Region, Saeed Umar, was last week attacked by some assailants believed to be NDC members. The victim, Saeed Umar was allegedly attacked by some supporters who demanded he returned a vehicle belonging to the party. The post Deal swiftly with Kumasi NDC shooting – Minority Leader to Police appeared first on Citi Newsroom.